In Obama’s America, each day is Halloween. The “lesser people” (Alan Simpson) should be afraid, very afraid! Why? Uncle Sam is bankrupt. He lives merely on the kindness of strangers. Only painful actions can remedy this situation. Uncle Sam, you see, has long suffered from Affluenza. While the condition is often mistaken for a state of healthy well-being, the illness can be terminal. There are limits. They need to be respected. Austerity looms. The open question before Americans today: What kind of austerity will we have? The common answer amounts to this: Uncle Sam’s Affluenza would be fatal but for the remedies which a public commitment to fiscal austerity can provide. The medicine is harsh and drastic, but necessary. Social Security has an income ‘cap’ of $110,000 above which no deduction is made. A billionaire who became rich by sending jobs overseas — by firing and lowering the wages of labor, pays a smaller proportion of his or her income into Social Security than does the worker whose wages have been reduced. And by reducing the wages of labor, workers are left with less to pay in to these social insurance programs through payroll taxes. The problem with Social Security and Medicare is that a small group of connected plutocrats have ‘entitled’ themselves to far more of what labor produces. How often has the deficit ‘crisis’ been raised when there is a war to be fought for multi-national oil companies or a corporate welfare scheme like the bank bailouts to be paid for? And this all ties back to Mr. Obama’s Affordable Care Act — if he and his corporate supporters were truly interested in fiscal discipline they would have pushed for far less costly ‘Medicare for all.’ Instead Mr. Obama pursued a deal with private health insurers that includes (sic) a ‘profit’ above the cost of a government program. Those wanting to argue the political infeasibility of Medicare for all are now confronted with a ‘liberal’ Democratic President who believes he can cut the programs that most of us have paid into under known terms for decades. If doing this is politically feasible while building a rational public health care system isn’t, we are truly doomed. Ultimately Mr. Obama, like his ‘opponent’ Mitt Romney, is but an apparatchik in a class war launched by the rich against the rest of us. Left out of the contrived nonsense about an ‘entitlement’ society is who exactly is entitled. Were the government spending the rich live off of under the knife there would be no argument of scarcity — we have the wars, the bailouts and corporate welfare to prove it. But social insurance programs stand between over one hundred million of our citizens and destitution. And these are programs we have collectively paid for — they aren’t a ‘gift’ as the rich and their servants in government would have us believe. Even the ‘gifts’ of income transfers, support for education and public transportation, Medicaid, subsidized housing, occupational training, works programs, etc. are not lacking in social benefits which directly and indirectly improve the quality of life enjoyed by every American. Every American would benefit from a fair and humane society, from a better standard of living. Such a society serves a common and public good. Who, after all, wants to watch the homeless die on the street for want of food and medical care? How might the United States compete with the emerging Asian economic powers when its education system, long the envy of the world at large, falters because of a lack of fiscal and political support? Who wants to bring children into the world when they will intimately know insecurity and want? But the Nobel Laureate Americans just reelected wishes to create neither a fair nor humane society. He is a system politician who serves his various masters. The latter are cruel and greedy. Americans of the lesser kind along with the world at large deserve much better than Barack Obama. They truly need a man much better than him. Now that Barack Obama has secured the White House for another term, we can relax knowing that Social Security, Medicare and Medicaid are safe from the evil hands of the Pete Petersons of the world. Big Money has been gunning for Social Security, Medicare and Medicaid for decades — since the beginning of Social Security in 1935. The motives are partly financial: As one scholar once put it to me, the payroll tax is the “Mississippi of cash flows.” Anything that diverts part of it into private funds and insurance premiums is a meal ticket for the elite of the predator state. And the campaign is also partly political. 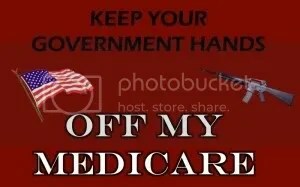 The fact is, Social Security, Medicare and Medicaid are the main way ordinary Americans connect to their federal government, except in wars and disasters. They have made a vast change in family life, unburdening the young of their parents and ensuring that every working person contributes whether they have parents, dependents, survivors or disabled of their own to look after. These programs do this work seamlessly, for next to nothing; their managers earn civil service salaries and the checks arrive on time. For the private competition, this is intolerable; the model is a threat to free markets and must be destroyed. The main target of the austerity mongerers? Social solidarity or community. And that is what the Objectivists in Congress cannot stand. Our sense of community is an obstacle to their power. And what they are determined to destroy, we must defend. There is much more to be said, about disaster relief, food assistance, housing and other threatened programs. But to begin, Congress should leave Social Security, Medicare and Medicaid alone. Middle class welfare? Is that not a self-contradiction? The government safety net was created to keep Americans from abject poverty, but the poorest households no longer receive a majority of government benefits. A secondary mission has gradually become primary: maintaining the middle class from childhood through retirement. The share of benefits flowing to the least affluent households, the bottom fifth, has declined from 54 percent in 1979 to 36 percent in 2007, according to a Congressional Budget Office analysis published last year. And as more middle-class families like the Gulbransons land in the safety net in Chisago and similar communities, anger at the government has increased alongside. Many people say they are angry because the government is wasting money and giving money to people who do not deserve it. But more than that, they say they want to reduce the role of government in their own lives. They are frustrated that they need help, feel guilty for taking it and resent the government for providing it. They say they want less help for themselves; less help in caring for relatives; less assistance when they reach old age. I wish these people good luck solving their cognitive dissonance problem. Life will become even direr for America’s senior citizens and low-income wage earners when the Federal government finally and completely commits itself to imposing an austerity regime on the country. Why didn’t the GOP even hold a vote on the Balanced Budget Amendment when they controlled the WH, House and Senate under Bush? One feasible answer: The GOP needed a willing Democratic president to gut the many social programs on which Americans now or will need. Barack Obama — the man who liberated the GOP!